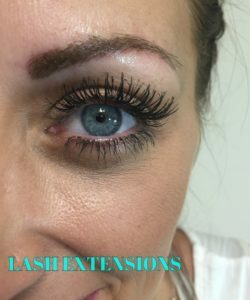 Lavish Lashes® Eyelash Extension is an exciting service that is provided by professional application of individual synthetic eyelashes directly to your own natural lash using a specially formulated bonding agent. 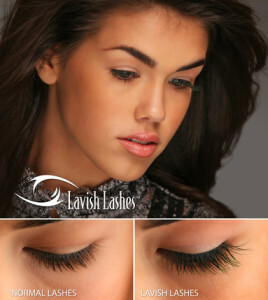 Lavish Lashes® are perfect for daily wear and active lifestyles. You can shower, swim, go to the spa, and sleep worry free with these waterproof and durable eyelash extensions. 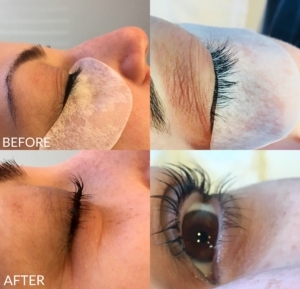 First time eyelash extension clients must have a consultation before scheduling an appointment for the actual service. After the consultation when scheduling your lash extension appointment it is required to make a 50% down payment. If you are inclined to leave your stylist a tip, we are only able to accept them in the form of cash or personalized check. Tips on credit cards cannot be accepted. We apologize for any inconvenience.